One of the unique things about used Highlanders is that older boats can compete head to head with brand new boats. Because of this fact, there is quite a large demand for older boats. Help us put your lonely boat in the hands of sailors anxious to get on the water. List your boat on our For Sale page and we'll help get your Highlander back on the water where it belongs. Or donate your boat to HCIA Training and Development for a qualifying tax deduction. 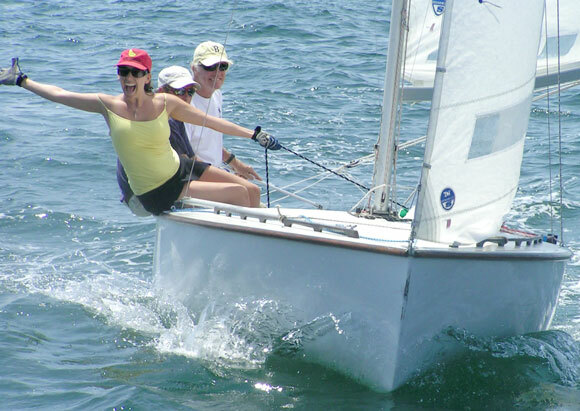 The Mission of the Highlander Class International Association is to promote all aspects of Highlander sailing on inland lakes and coastal waters for racing, day sailing or cruising. Any more fun than this and you wouldn't be able to stand it. 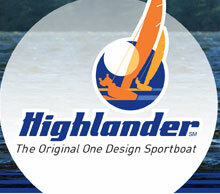 The Highlander is truly the "original one design sport boat." It combines performance with comfort while providing exciting one-design racing. Newly built boats and 30 year old hulls compete on an even basis. Designed by legendary Gordon K, "Sandy" Douglass, the Highlander is a larger, faster and more comfortable Douglass One-Design. HCIA Training & Development is a non-profit 501(c)(3) corporation created solely for the purpose of encouraging junior sailors to become Highlander owners and competitive racers. By "granting" a competitive Highlander to qualified junior sailors, we hope to help build the next generation of Highlander sailors by improving the overall experience through "time on the tiller" at HCIA sanctioned regattas. We will be working hard throughout the 2011 sailing season to acquire boats and get them ready for the program. Please check the HCIA Training & Development page for updates regarding the availability of boats and the application process. The Larry Klein Memorial Trophy is awarded at the end of each racing season to the skipper that defeats the most Highlanders during the year in honor of sailing great and National Champion Larry Klein. In addition to our Larry Klein Trophy racing series, HCIA is adding a brand new race series designed to be more inclusive for racers that don't make it to as many regattas yet are consistently competitive. Check out last years simulated standings.